Sounds great, right? All you need to do is shift the brands that you buy when you do your groceries, and you’ll not only enjoy as much as a 25% discount, you’ll even qualify for rebates. I’m still searching for a DXN Philippines Product Pricelist, so that we can easily compare these products with the ones you find in grocery shelves. So, what do you think? Can you save on your grocery bills? Would you like to try some of the products of DXN Philippines? 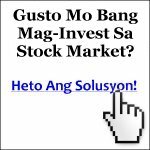 DXN Philippines Dealers: Display your contact info here. Advertise in Viloria.net today! **** CODE **** DXN Philippines Dealers: Display your contact info here.